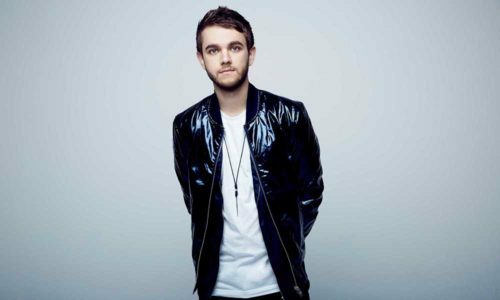 Born Anton Zaslavski in southwest Germany, Grammy-winning electronic producer Zedd broke onto the European dance scene in 2010 with a remix of Skrillex’s “Scary Monsters and Nice Sprites.” Though known for his glitch, pulsing production, Zedd’s musical journey began in the acoustic realm. Raised in a musical family, the future producer cut his teeth on the piano at four years old and eventually moved on to drums and played in a rock band before being drawn into the digital world in 2009. Zedd built a name for himself with his remixes of artists like Lady Gaga, B.o.B, and Armand Van Helden while also releasing his own singles and EPs. True Colors In 2015 he released his sophomore LP, True Colors, which presented more diversity with genres like rock and rap as influences. The collection featured Selena Gomez, Troye Sivan, and Logic among its guests, and topped the Billboard dance/electronic chart. An international tour in support of the album followed. In 2017, he issued the single “Stay,” featuring Canadian singer Alessia Cara on vocals. The following year, he paired with country sensation Maren Morris for the single “The Middle,” which topped Billboard’s Hot Dance/Electronic Songs chart.